Fitting words on the day after such a tragedy. I saw this yesterday too. It made me wonder. 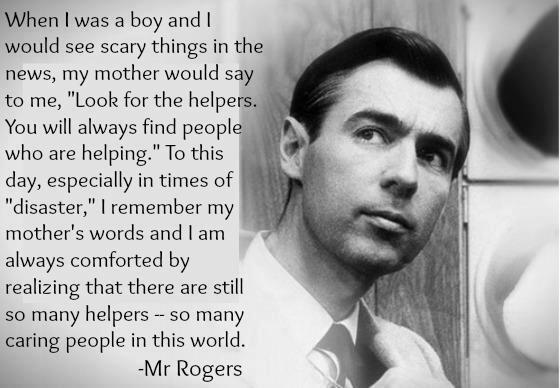 If the press could focus on the helpers, the caring people...always, and not the perpetrators, would it be possible that "attention seekers" performing these acts would choose another path? Lovely sentiment. Thanks for sharing it.